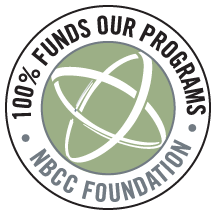 Because 100 percent of your donation goes directly toward funding Foundation programs. Thanks to our generous corporate sponsors, the Foundation can use 100 percent of general donations to fund our programs. These dedicated sponsors cover the essential management and fund-development expenses necessary to grow and support our efforts to bridge the gap in mental health for underserved populations in the United States and worldwide. We invite you to take a few minutes to view our case for support Prezi and learn more about how we are bridging the gap.